It would bail out coal plants under the guise of climate action. But that’s not all. 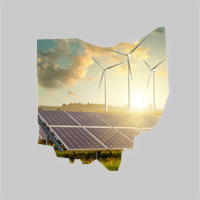 The state legislature has officially announced a new piece of legislation that deals a devastating blow to the Buckeye State's clean energy economy: It would force you to pay more for coal and nuclear power — and remove funding for renewable and energy efficiency programs — under the guise of clmate action. The bill only benefits a select few — mostly out-of-state — interests. It up-ends the competitive energy market that has kept Ohio's energy prices low. And it crushes the state's growing wind and solar industries. We can't let it pass. Tell your State Representative to vote NO and wake us up from this bad dream. Oppose the new coal and nuclear bailout bill. I am writing today deeply disappointed in the deceptive legislation recently introduced in the Ohio State House, which would bail out uneconomic coal and nuclear plants at the expense of Ohio customers. The fact that this bill claims to be supporting "clean energy" while taking funds away from cost-effective and successful energy efficiency and renewable energy programs is disastrous for our state. This bill only benefits a select few, mostly out-of-state interests. The only winners are corporations who own Ohio's old coal plants and the hedge funds that will soon own FirstEnergy Solutions. It up-ends the competitive energy market that has helped keep our electricity prices low, and crushes the growing wind and solar industries that have created thousands of new jobs and helped fund our schools. I strongly request that you vehemently oppose this dangerous bill, and encourage your colleagues to do the same.